I offer two styles of album. The ‘Simple’ is digitally printed and has a hard backed cover similar to that of a book you would buy on the high street. A great album you will be proud to take off the bookshelf to remember your big day. The main album is 12″x12″ square, 8″x8″ parents albums are available which make great gifts for your parents and finally the popular mini books are available in packs of eight. The most popular of my range is the ‘Stylish’ offering photographic quality images that will last a lifetime without fading. Professionally bound with either your names embossed onto the leather cover if you choose the 14″x10″ album or you can upgrade to the 12″x16″ album with a metal cover and image printed onto it for a little extra. The colour, saturation and clarity of the images is reproduced better in this printing process and is the album I would alway recommend either as a 14″x10″ or the larger 12″x16″. Once again parents albums are available, this time they are A4 and digitally printed. 6″x4″ mini books also available in multiples of 8 which are lovely gifts for your bridal party after the big day. You will never want to put this album away! Finally, there is a third option for those looking for something more classical. 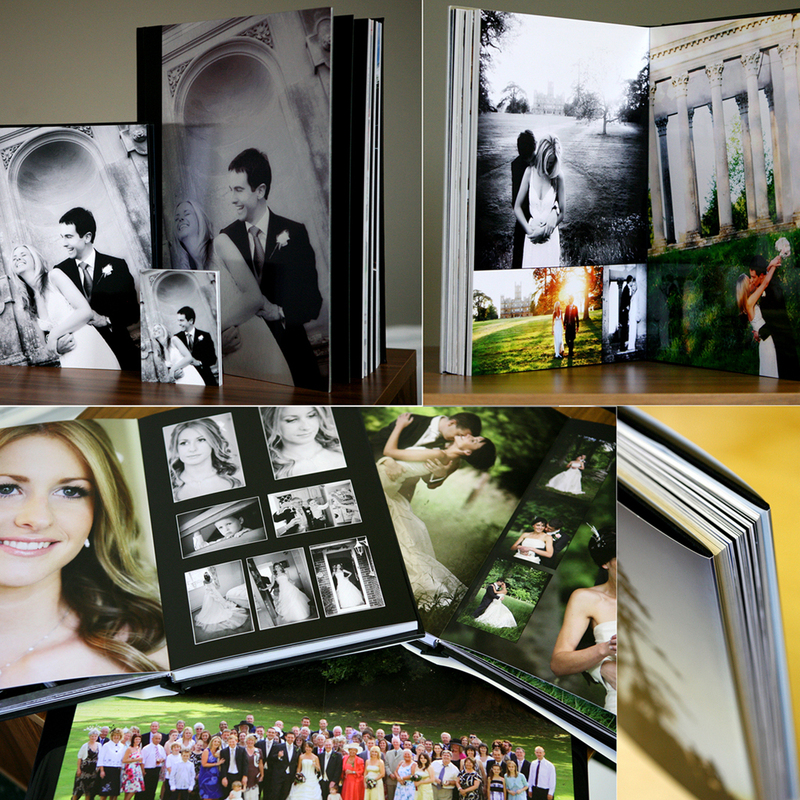 A leather bound album that is 100% bespoke where the photographs are presented behind laser cut mats. A true heirloom and is available at an additional premium. Please enquire for more details. This popular product is a great memento of your wedding day. 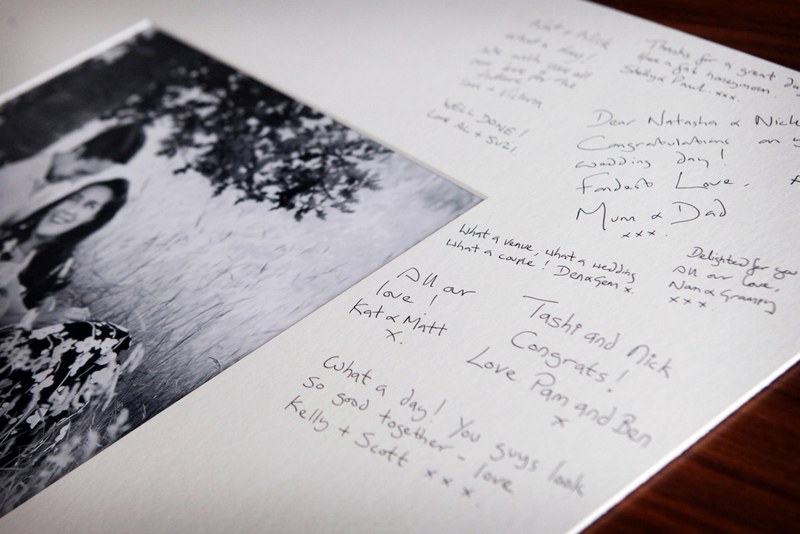 In the evening the signing book is generally circulated amongst your guests for them to write a short message in. You can choose up to 15 images from your pre wedding shoot to include in the book. These images are spread throughout the book with lots of space for your guests to write on. A 24” x 20” framed mount ready for you to frame with a 12” x 8” image allowing plenty of room for your guests to sign or write a short message. These are available framed in a choice of Pewter, Champagne or Black ready to hang on the wall the moment you get home from your honeymoon! They are also available unframed should you wish to get it framed yourself. I am delighted to be able to offer personalised Thank You cards to all of my couples . 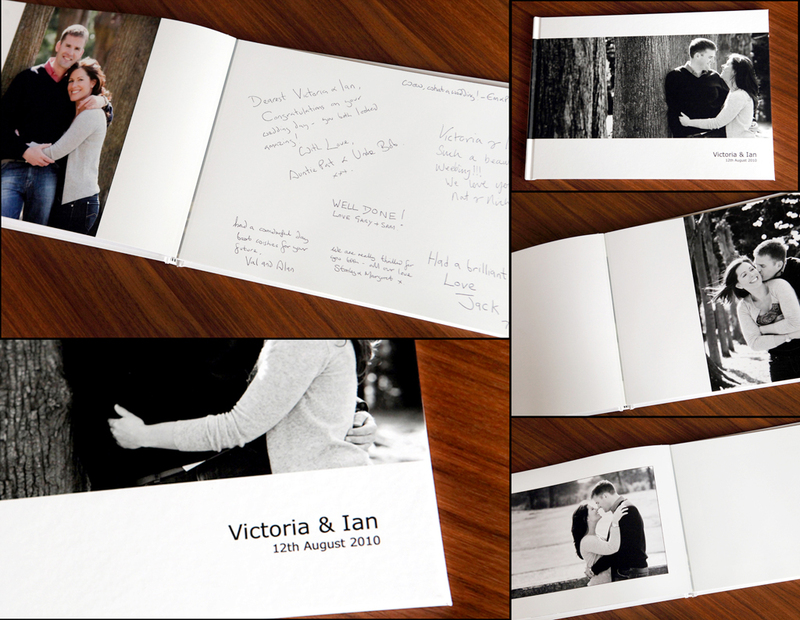 They are great quality, lovely to write in and a great way to say Thank you to your family and friends. So good, we used them for our wedding too! The cards come in quantities of 50 or 100 and include white envelopes. To order your Thank you cards simply decide on the quantity you require and whether you wish to have Thank You printed inside or left blank. 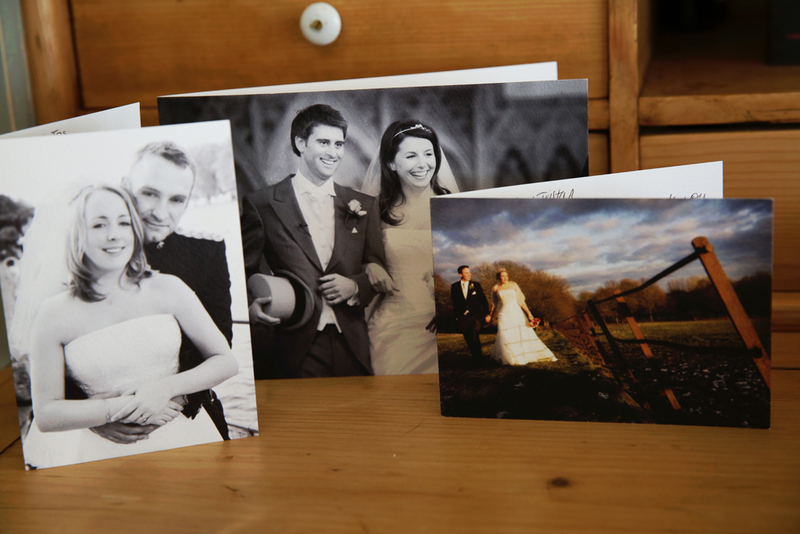 The cards will be ready and dispatched to you within 3 weeks of your wedding day or from placing your order. Prices include delivery to UK mainland. Please email Mark for more details or if you need an order form for these products.